With this post, we start our series of short interviews and articles all related to Latitude59, the Estonian Mafia flagship tech conference that Startup Estonia is co-organising this year. We'll start off with giving the floor to Garage48, a startup co-working space, event center and community house that has played a great role in building the startup scene in Estonia, to let them share their thoughts and tips for attending Latitude59! How would you describe and define Latitude59? Latitude59 is a massive technology conference held in the heart of Tallinn at the edgy premises of Tallinna Kultuurikatel. It gathers the leading technology entrepreneurs and startups, who have stood out with their achievements, milestones and contributions. The conference will transform Tallinn into a mecca of all these victories and possibilities. It is just a very powerful initiative, where every detail is the best of the best - the speakers, the startups, the pitches, the booths and all the exciting guests, even the cool interior will be levelled up. 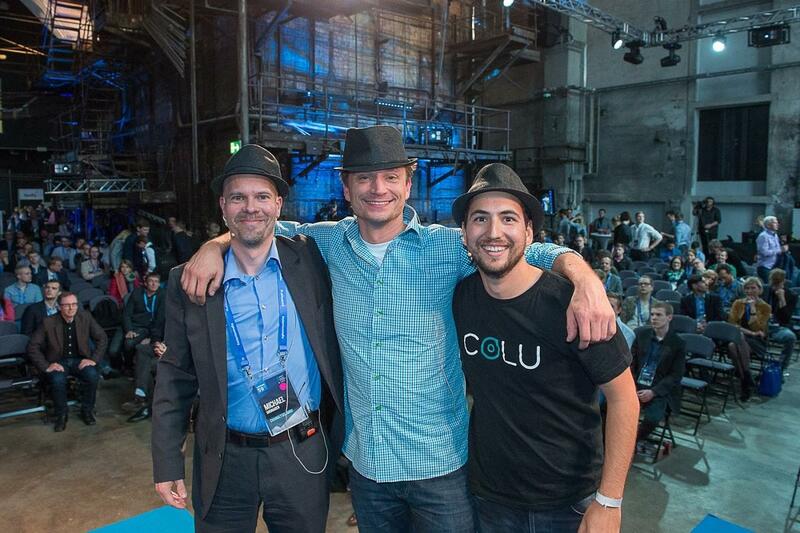 What has been the best thing about previous Latitude59s? The Garage48 team is always eager to see how their teams are doing after the hackathon is over and the prototypes are finally working. Latitude59 has been our partner in boosting startup entrepreneurship for years and thus every year we send out our teams to pitch on the stage. Participating at the whole conference is a must though, to make themselves visible and make life-changing connections. I think the opportunities they provide for new startups is something worth celebrating. Latitude59 is like the perfect person, who has all the desired qualities - brains, beauty and achievements. Not only can you hear some very interesting talks and presentations, for example by the Prime Minister of Estonia or a world-class VC Tim Draper, but you can also really enjoy yourself while being there. The afterparties are every bit legendary as well. I am mostly looking forward to seeing and hearing the Duke of York thanks to whom the Estonian startup system has a strong connection to the UK. The Duke also does other interesting contributions to the field of military, education and entrepreneurship. For the first time in Estonia, startups can pitch directly to the Duke of York thanks to the Pitch@Palace competition that will be held at Latitude59! I hope all the startups will seize this opportunity and start practicing their pitches already! Could you give one useful tip for those attending the event for the first time? Before Latitude59 the Garage48 SpaceTech hackathon will be held in Tartu on May 27-29, which will be a truly spectacular event. For the first time ever, Garage48 will organise a hackathon to focus solely on developing space technologies The teams will develop ground-breaking innovations and ideas in the field of space, science, aerospace and much more! You can stream the grand final LIVE on May 29th via our website garage48.org to see all the working prototypes, having been developed during the last 48 hours. These innovations will probably change our future and how we interact with space. There's of course a lot happening in Estonia during these most beautiful days of spring. You can check the Like a Local City Guide of Tallinn or the Tallinn Startup City Guide to get the insiders info by the locals. You should most definitely eat out as much as possible and leave your noodles for some other time, because Tallinn is simply a food paradise with delicious food for every taste! So if you are looking for the nearest breakfast, lunch or dinner option near the conference venue check out Menyyd.ee app, which helps you navigate the restaurants in English. To get home or to your hotel safely, download the Taxify app, which will definitely be your most used app in the city!